Click the button below to add the 2014 Easton Haven CarbHandlebar to your wish list. 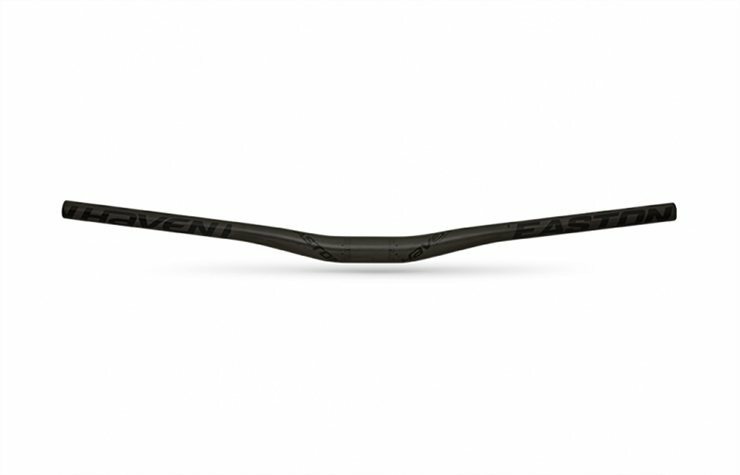 The Haven Carbon is the crown jewel of Easton's All Mountain handlebar line. This thing is 711-millimeters (the perfect width for aggressive trail riding) and only 175 grams! But the minimal weight is only half of the beauty of the Haven Carbon. The most impressive attributes are the strength, stiffness and durability. Thanks in part to a tough blend of composite material and Easton’s own TaperWall™ technology, the Haven Carbon is the strongest bar in its category. Nine-degree sweep and 5-degree upsweep put your hands in the perfect positions for attacking the trail and the low, 20-millimeter rise complements the tall front-ends of modern trail bikes. And let’s not overlook aesthetics—this handlebar features a sleek, matte black unidirectional carbon finish with subtle gold and white graphics to match the rest of the groundbreaking Haven group.